I want to tell you about a great author I’m really enjoying. Amber Lea Easton writes spicy adventure fiction featuring strong female leads and hot romantic action. The first of her books that I read was Anonymity, the first in her Wanderlust Series. I absolutely loved this story! The plot was somewhat predictable, but don’t say it like its a bad thing. Alyssa McNeil, recently jilted by her cheating ex-fiance, decides to start working on her bucket list by booking a solo trip to Belize. There, she meets the handsome and mysterious Luke, and decides he fits the bill for her anonymous romantic fling. Pretty soon they each find themselves breaking their self-imposed rules for a no-strings-attached relationship. The setting is romantic, the characters are intriguing, and I found myself pulling for a ‘love conquers all’ ending. I can enthusiastically recommend Anonymity by Amber Lea Easton. Anonymity gets 5 out of 5 plugs. 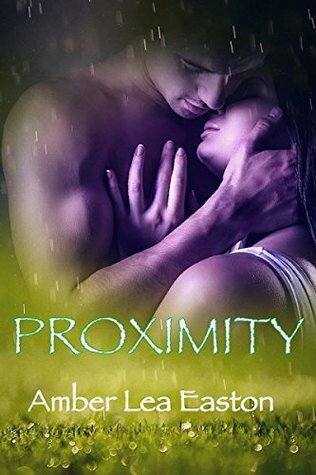 I had to immediately download the second Wanderlust book, Proximity. I loved this book. It follows the further adventures of Savannah Willis and Bill Evans, characters we met in the first book in the series, Anonymity. In Proximity, Savannah and Bill head off to the jungles of Costa Rica along with the other members of their dive club to do some cave diving. The action is exciting and the sexual tension is…well…hot. Will Savannah realize that she’s always been in love with the man she considers her best friend or will she lose him forever? Proximity gets 5 of 5 plugs. Amber Lea Easton is releasing book three of the Wanderlust Series, Duplicity, on July 11, 2015. Who has two thumbs and is pre-ordering that book right now? This girl! Any questions? Um-hmm, I thought not.